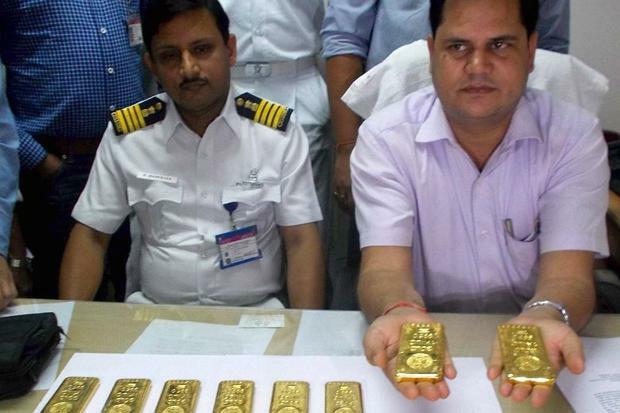 Is India going to Steal 22,000 Tonnes of Gold? Don't Trust any Government with your Gold! While India is a poor country, it is also the second largest country in the world with over 1.2 billion people. In a country that big, there is some wealth in existence, despite the country’s anti-free market policies. Even though India does not move global financial markets in the same way as the United States, or even China and Japan, there is one area where India tends to have a lot of influence: the gold market. Indians love their gold and they have a much greater appreciation of the yellow metal than most Americans. It has been estimated by the World Gold Council that about $1 trillion of gold – about 22,000 tonnes – is privately held in India. Perhaps Indians appreciate their gold more than Americans partly because of the country’s history of wild currency fluctuations. They can use it as a hedge against a depreciating currency. While this is an issue for the U.S. dollar too, it is nothing compared to what Indians have experienced. With all of this gold sitting idle in Indian hands, Arun Jaitley, the current Minister of Finance, recently proposed two provisions to change this. The first is to offer incentives to get people to store their gold in banks, where it could then be lent out. The second is to offer a sovereign gold bond in which gold could be converted from a physical asset to a financial asset. One thing that distinguishes the Indian gold market from the American gold market is that Indians tend to demand physical gold. They want to touch it and hold it. They don’t trust third parties. Most American gold investors will buy financial assets that represent gold. Promoting Gold or a Government Scheme? These new proposals will make life more interesting for gold investors one way or another. In the short term, it would be hard to imagine that they would drive demand (and prices) down. If anything, they would likely drive up demand for gold in India. While this may or may not benefit gold investors in the United States and elsewhere in the short run, it is hard not to be cynical about the motives of Indian officials. The Indian government has slapped on big tariffs on gold imports in recent years in an attempt to slow down gold imports. Like any government tax or price control, this has led to smuggling and an undercover market. In addition, the Indian economy is always a struggle and the politicians there are no different than anywhere else. They are always looking for more money to spend. They are always looking for more wealth to tap in to. If I were someone living in India, I wouldn’t trust handing over my gold to a bank so that they can use it as a financial instrument to create loans. What happens if the loans go bad and it was your gold being used as collateral? What happens when there are defaults in the financial markets? Will you get your gold back? I have no issue with people lending out their gold or giving it to banks to lend out. But this should be done voluntarily in a free market environment. Why does anyone need a government scheme to promote gold lending? Why does the government need to encourage people to turn in their gold into a bank, which is probably heavily regulated and controlled by the government? In the U.S., many Americans don’t know that owning gold was essentially illegal for over four decades (1930s to 1970s). But Americans are not risking as much to trust their financial system more than a place such as India. Despite an overbearing government in the United State, property rights are still much stronger than in a place like India. Forgive me for being a cynic, but I wouldn’t trust the Indian government. They want access to more wealth. Politicians don’t like it when private citizens hoard wealth. Or in other words, politicians don’t like it when citizens aren’t paying taxes on something and handing over a portion of the goodies. If I were in India, I would hold on to my physical gold. I wouldn’t trust the banks or the government. For gold investors, this news isn’t going to hurt your portfolio. If anything, it may create a little bit more demand in the short run. The U.S. government has cornered the market on debt collection scams. If Hillary runs for president, we need to see those emails! The leading global authority on gold supply and demand statistics - Thomson Reuters GFMS – on January 29th, 2015, released Update #2 to its 2014 Gold Survey. Do its figures don’t add up?